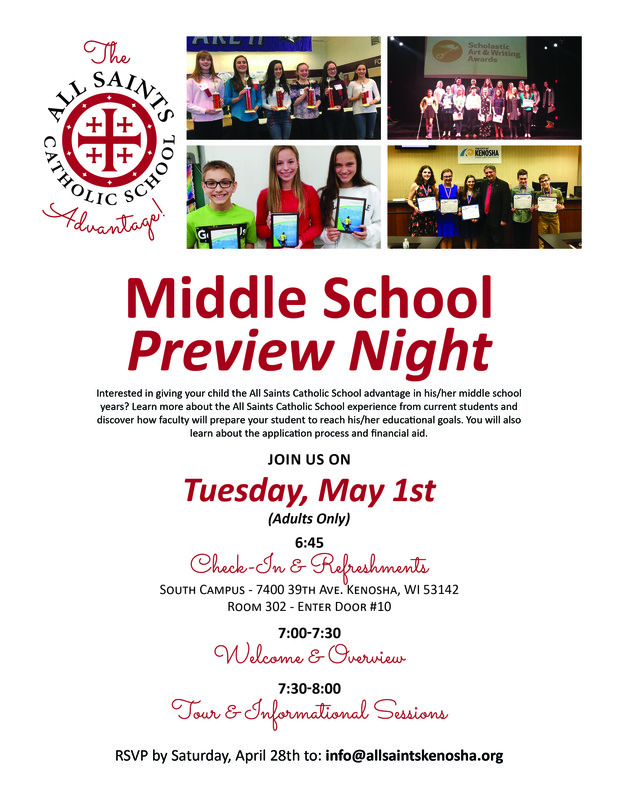 Interested in giving your child the All Saints Catholic School advantage in his/her middle school years? 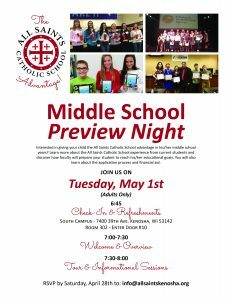 Learn more about the All Saints Catholic School experience from current students and discover how faculty will prepare your students to reach his/her educational goals. You will also learn about the application process and financial aid.